The economy is turning good and the Philippines is still on the investment radar of most international companies and venture capitalist. With this in place, local businesses and small investors are also joining up the bandwagon. Most folks are enjoying their profit in the recent Philippine Stock Exchange boom and it is hitting at 7000 mark last August of this year. Although, our government forecast has lowered it to 6.5 - 7% growth on Gross Domestic Product (GDP) with previous forecast of 7.3% for the full year by National Economic Development Authority (NEDA) brought about by the recent natural disasters and uneventful situations. People are asking me a lot of questions on where to invest their hard earned money this year and beyond? How much to invest? How much can recover and get their return of income (ROI)? For me it is an unending process of teaching and advising on where to invest. It depends on their objectives or personal goals in life, their risk appetite and portfolio of investments and financial instruments they intend to create with. As a registered financial planner, I give them these advices and what options or alternatives they could give them better decisions with a short period to a long term type of investments available and also give the pros and cons of these types of investments. In the end, these would be beneficial for both us client and financial planner with less compromise when building a client’s portfolio. 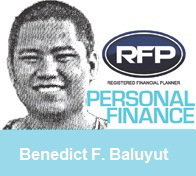 Bank Savings Account – It the first one on the list of investment I put and very well known among Filipinos. It is one of the good way of securing your finances with this type of instrument. Although a savings account only earns about 1 to 2% per annum and cannot beat inflation. It still has its functions as temporary storage for building fund for other investments and also creation of an emergency or contingency fund if the case of uneventful things happens. 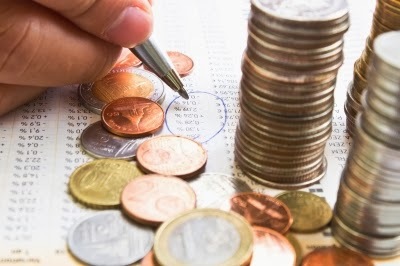 How much to put on your savings account may vary on your wealth accumulation process. Mutual Funds / Unit Investment Trust Funds – These financial instruments are a type of investments that are pooled together from group of investors and are professionally managed by a portfolio manager. The seasoned manager on the other hand invests the funds' assets in different variety of investments such as stocks, bond or other investment securities or a combination of stocks / equity, bonds and government. As a disclaimer for prospective investors, past performance of the mutual funds and UITFs may vary from time to time and may not result in the expected future or corporate securities as well. Direct Equity or Stocks – to start with, stocks or equities represents a part ownership of a corporation. In stock investments, you buy shares of a company and earn also from the portion of profits and earning of this publicly listed corporation. Some people buy shares of stock during Initial Public Offerings (IPO) but for seasoned investors they buy at low when market downturn and sell at high when there is significant rise or demand of those shares. Stock investing requires right timing and engagement to do so. Remember, stocks are not for the faint hearted and are high risk investments. Currently, there are several SEC registered brokerage firms that are engage in stock trading the Philippine Stock Exchange. Business – Majority of our folks would love to engage and delve in businesses. Entrepreneurship is fast rising here in our land thanks to many self-made businessmen and entrepreneurs who are campaigning and encouraging the growth of our nation through entrepreneurship. Most folks would love to venture to small to medium enterprises. However, business is also risky and speculative but it can potentially give you high returns. I heard and seen how businesses make and break at the same. In running a business, it requires time, capital, effort and passion just to succeed against other competition. Real Estate / Property – It seems that prices of condominiums and homes are fast catching up after the 1997 Asian Financial Crisis. In the research of major international real estate firms in the early part of 2013. The demand for offices in Makati Central Business District has increased with the influx of Business Process Outsourcing firms relocating to our country. Residential condominiums in Bonifacio Global City (BGC) are springing up with most expatriates and the 1% of the society living in comfort in this part of the locality. Rent and leasing had tremendously become a lucrative business for real estate professionals engaged in this leasing business. The developments and trends of some areas outside of Metro Manila with likes of Metro Cebu, Metro Davao and Metro Clark – Pampanga have been booming since early 2000s. Most finance expert would discuss about disadvantages of owning a real estate in the country. High taxes, high transaction fees, maintenance costs, illiquid and others factors that has become a turn-off for some people. But still the advantages outweighs it all wherein real estate gives the owner a sense of pride as a homeowner, appreciates its value in time and can hedge against inflation. Although, these investments may differ from each other they still involved low to high risks and may depend on the performances of such investment accordingly with the economic conditions and the current market value today. As an advice to everyone who is interested to invest in these financial instruments, properties and others must do their research before delving into this. Diversification of investment is essential in achieving a person’s financial goal.